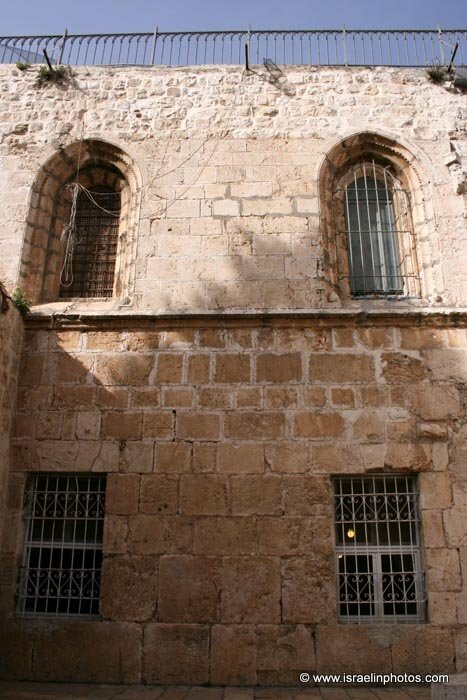 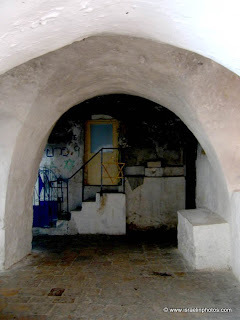 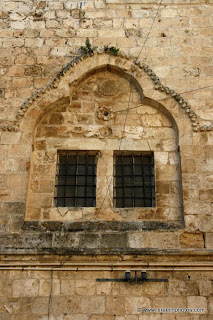 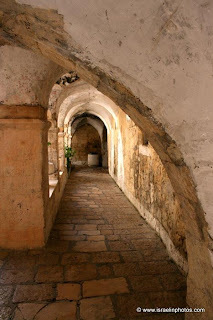 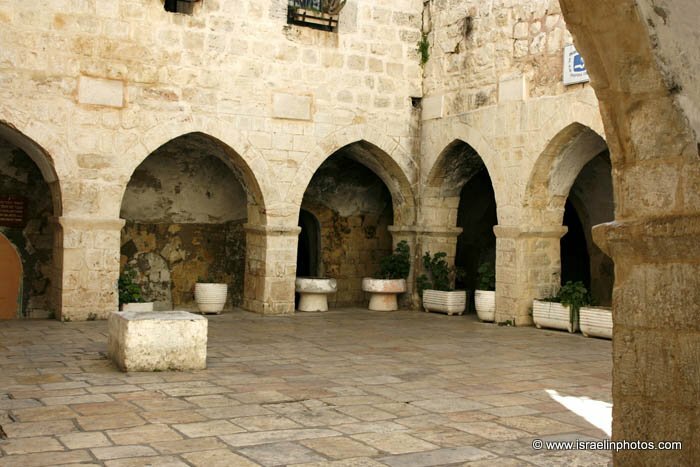 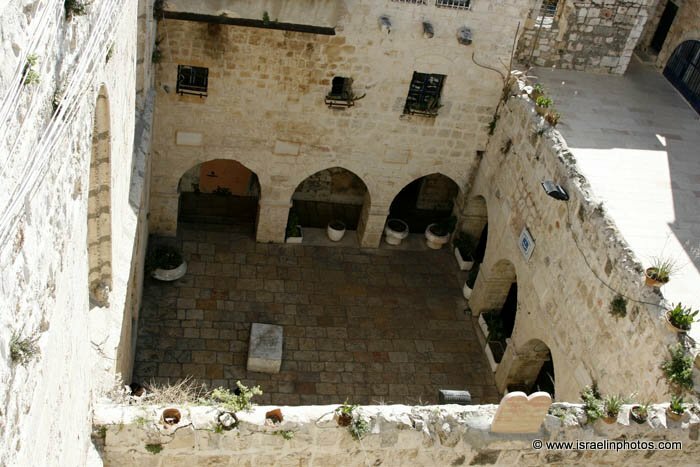 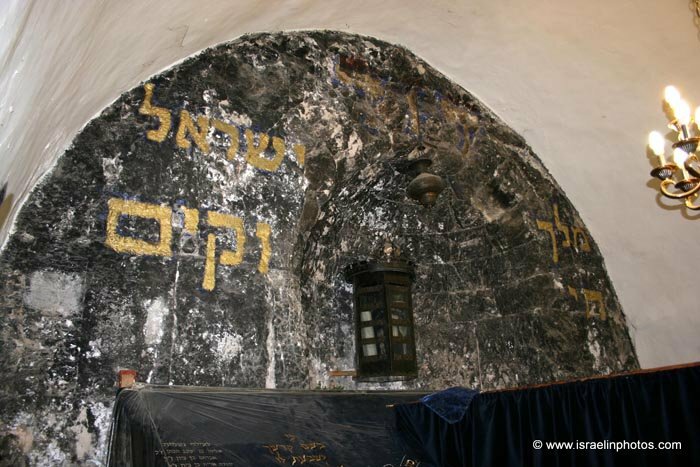 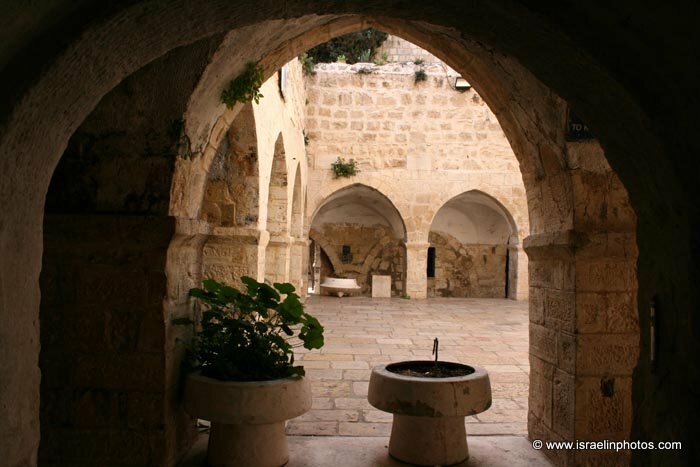 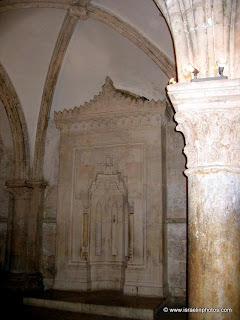 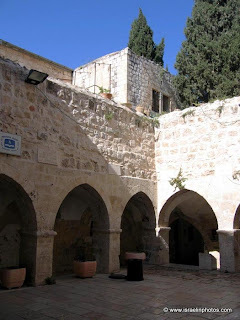 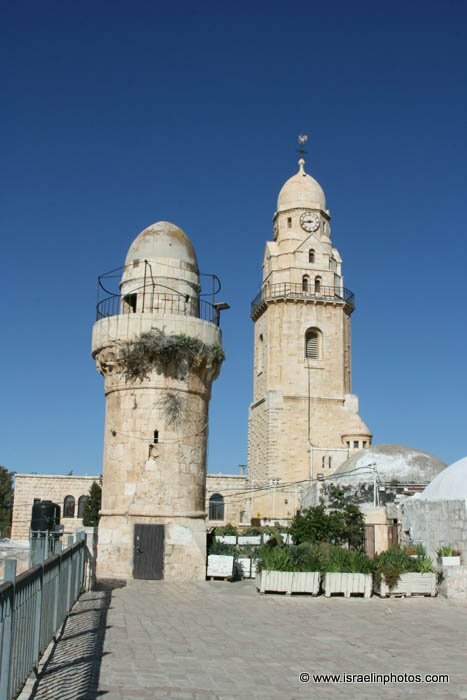 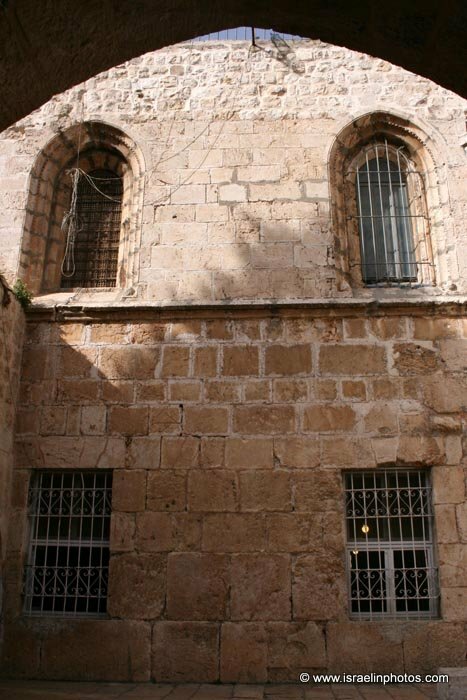 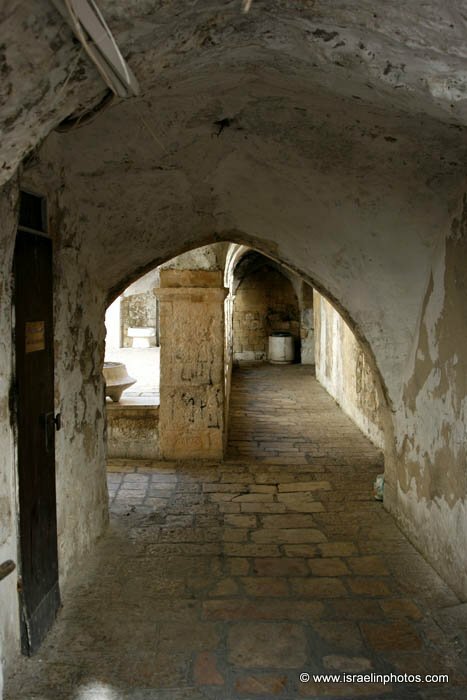 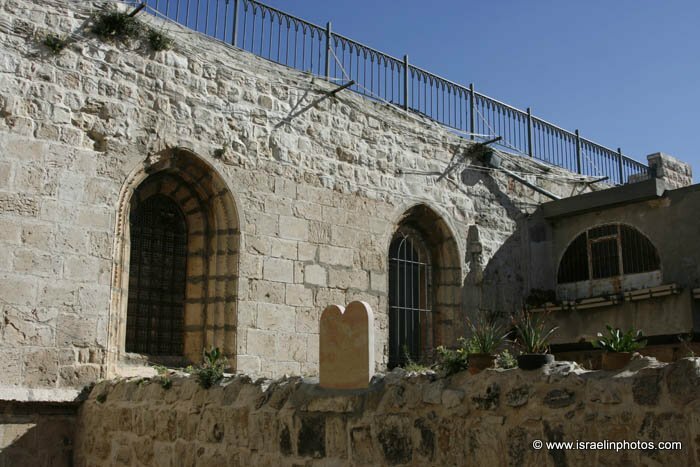 Both the cenacle and the tomb of David are located in the same building. 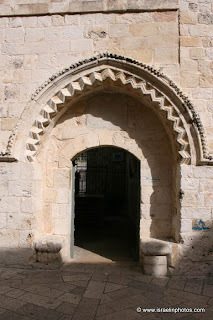 The Franciscans bought it in 1335 and gave it its present form. 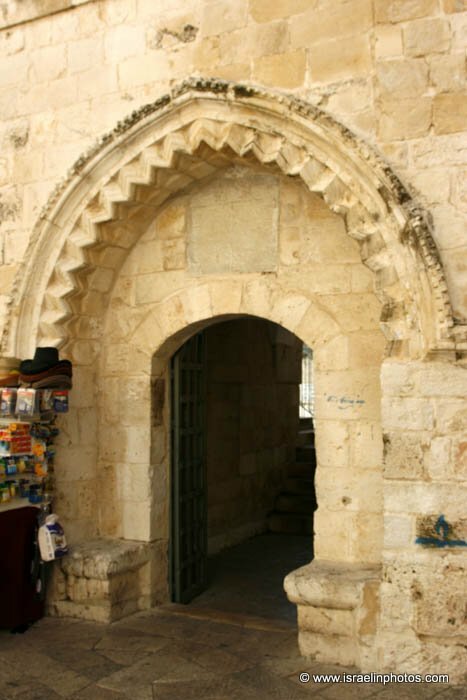 In the beginning of the 15th century, Jews attempted to purchase the building. This resulted in a dispute between the Jews and the Christians. 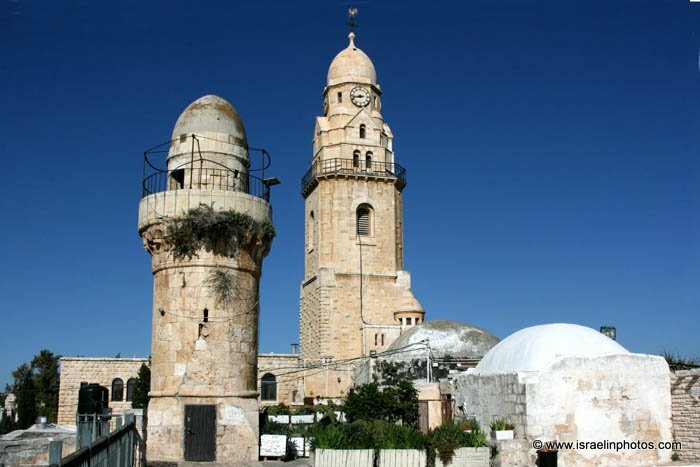 The Muslims made it their objective to gain the control of the site and they succeeded in 1524 and expelled the Franciscans from Mount Zion. 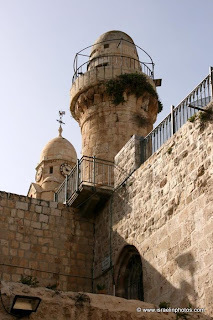 David was buried in his city on the eastern hill (1 Kings 2:10). 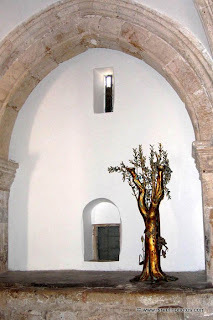 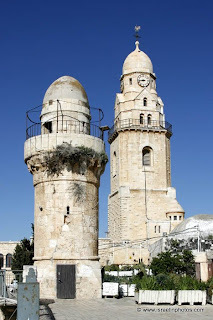 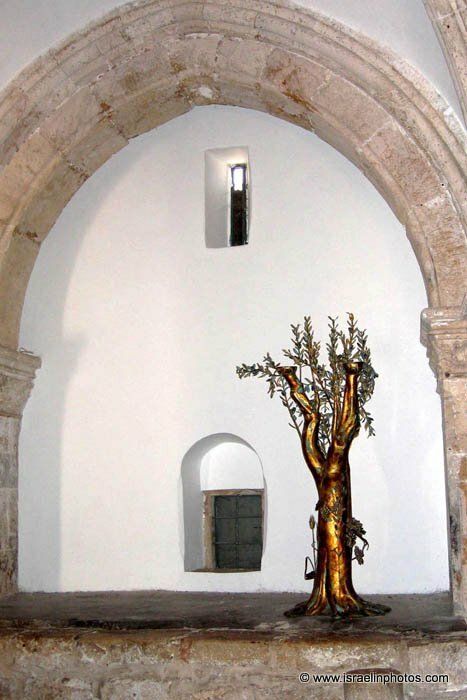 In the Byzantine period David and James, the Jewish and Christian founder of Jerusalem, were the focus of a liturgical celebration in the Church of Mount Zion. 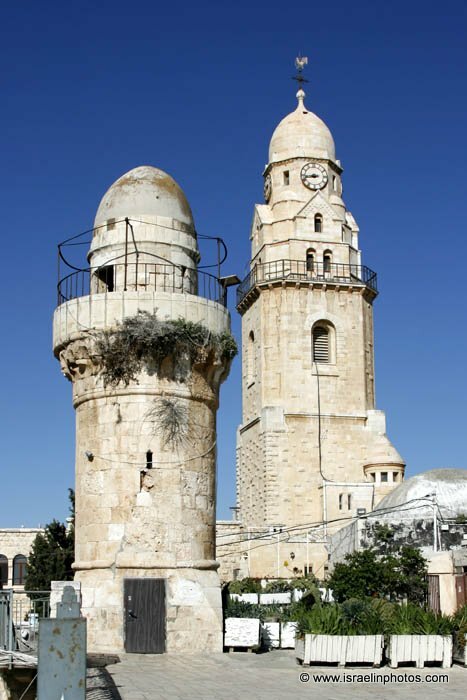 This brought the belief that the two were buried on Mount Zion. 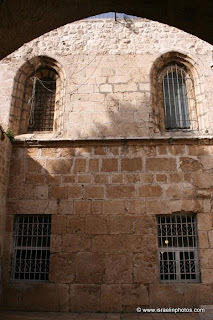 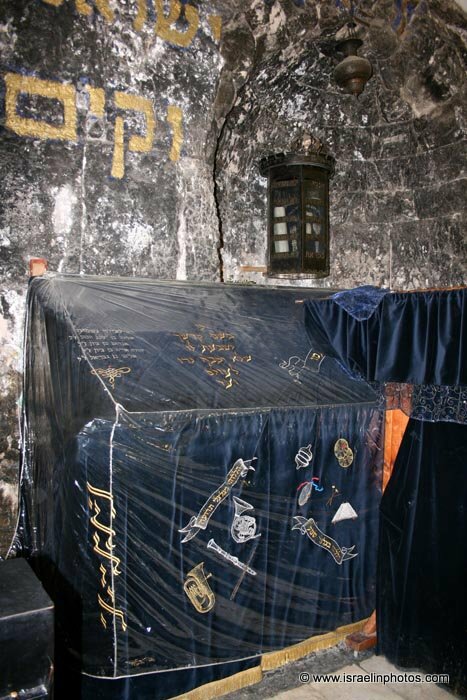 David's tomb was located here and that of James in the Armenian Cathedral. 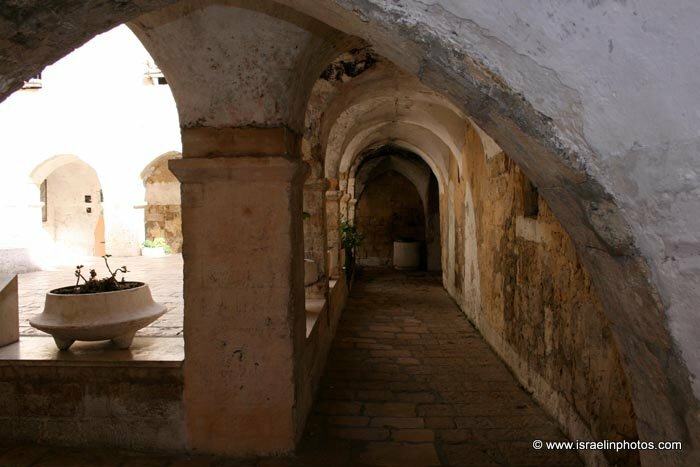 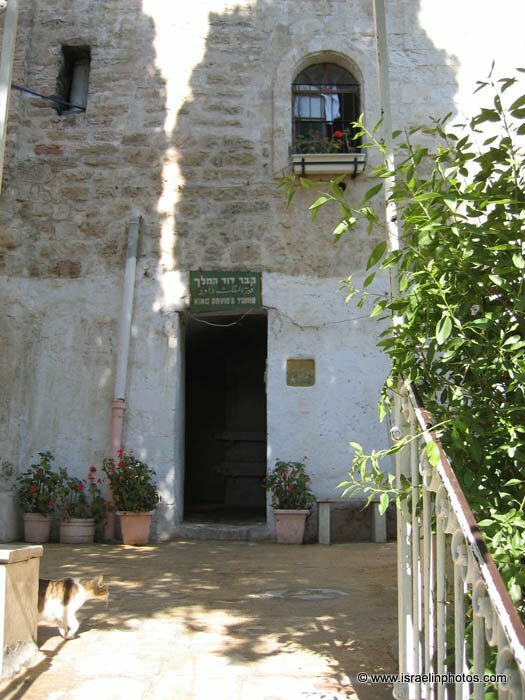 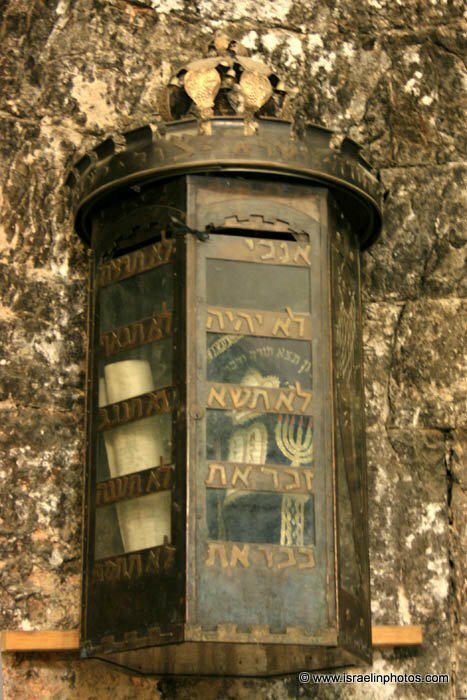 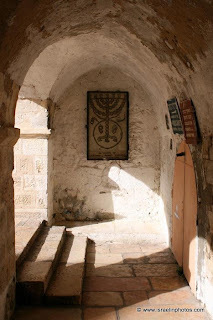 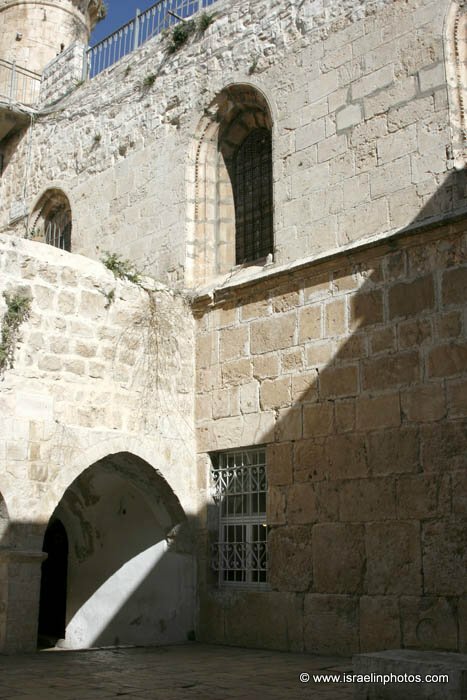 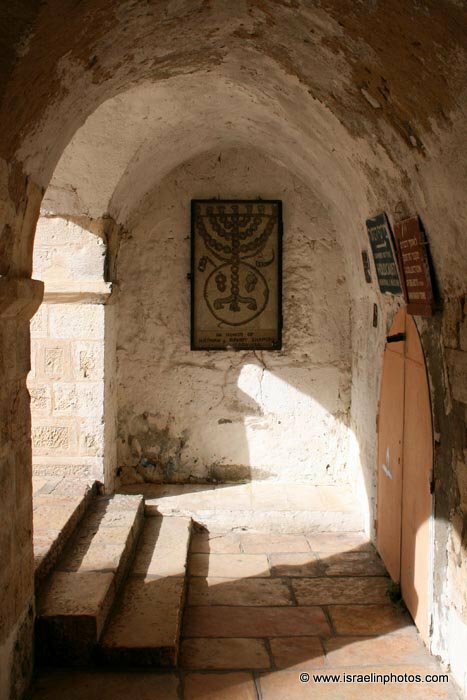 From the cloistered courtyard of the 14th century Franciscan monastery, we enter the ground floor of the building into a room, which now serves as a synagogue. The right-hand doorway gives entry to a prayer room (since a few months the place is divided, so women are not allowed to enter!). 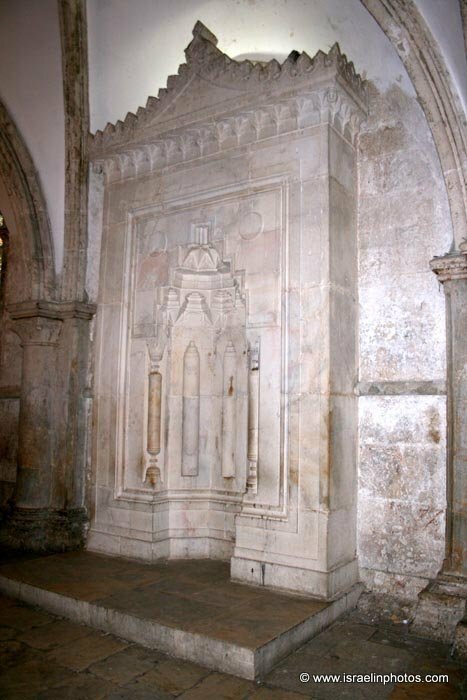 In the southern wall is a mihrab covered with ceramic tiles, built in the Mamluke period (nowadays hided behind a bookcase!). 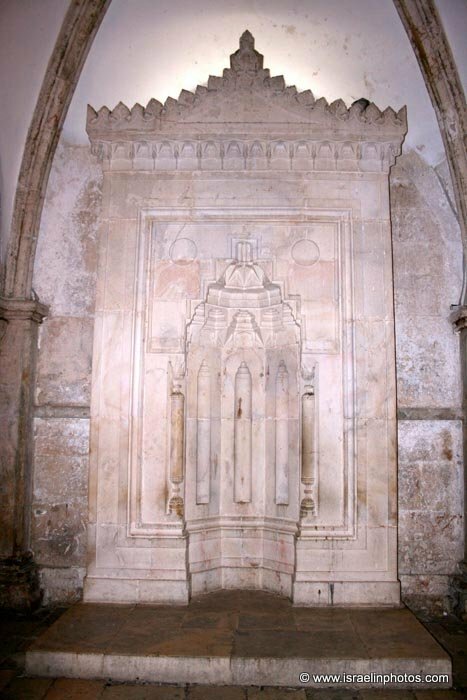 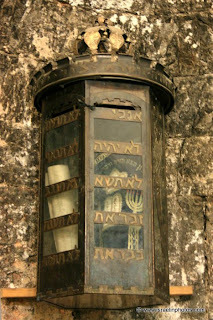 In the next room is a cenotaph, which marks the spot of King David's tomb. 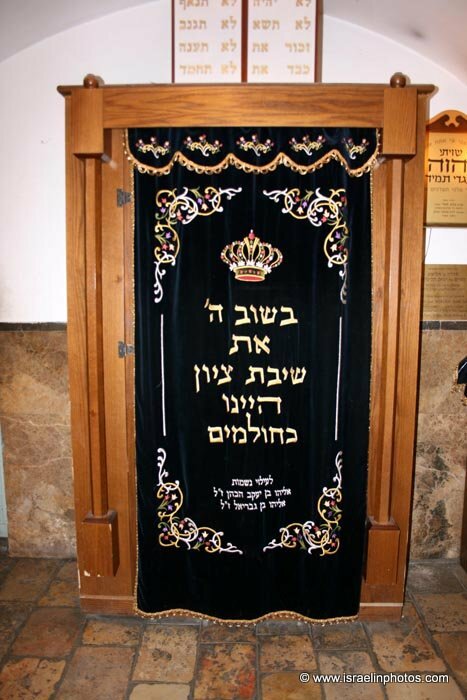 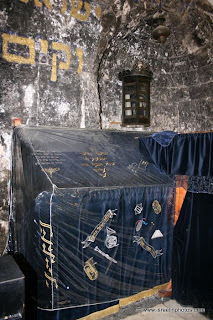 The tombstone is covered with a velvet cloth (and with a plastic cover), and over it are Torah crowns from the synagogues of Jewish communities which were destroyed in the Holocaust. 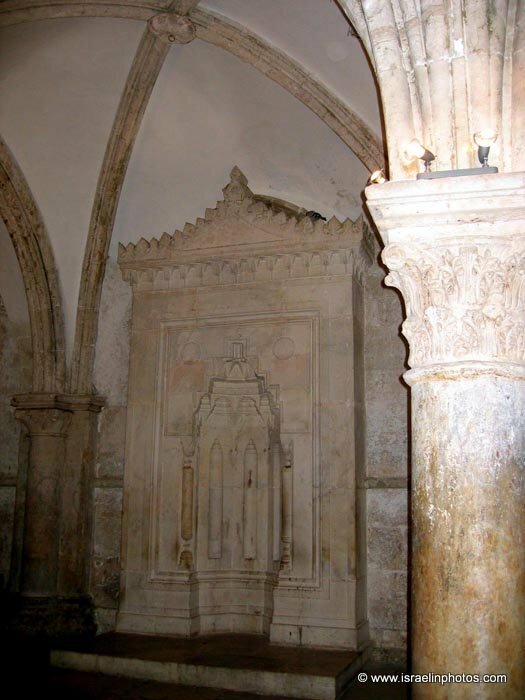 On the tombstone is a carving from the Crusader period. 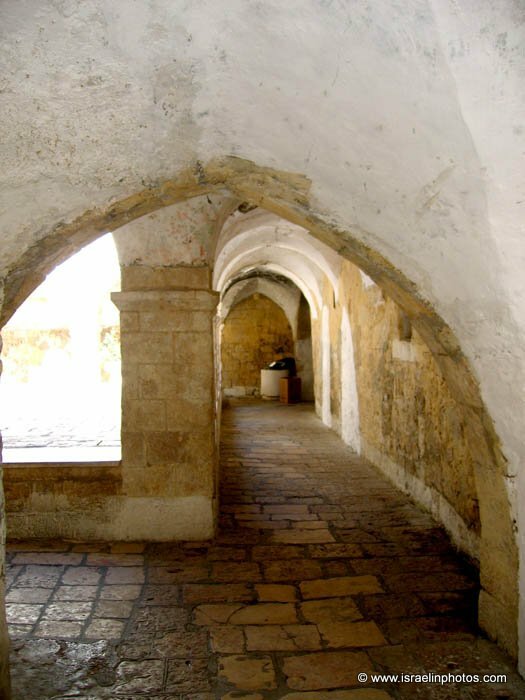 Beneath the present floor of the Tomb of David are Crusader, Byzantine, and Roman floors, so the foundations go back to the second century CE. 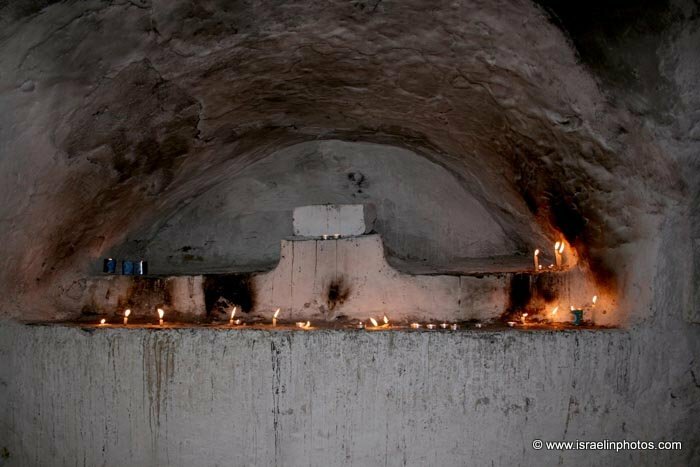 Under the shrine is the entrance to a cave discovered by E.Pierotti in 1859. 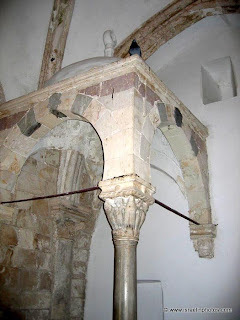 In his Latin translation of the New Testament, known as the Vulgate (translated 382-405); Jerome rendered these two Greek words by the single Latin word, or cenaculum, meaning dining room (customarily located on a second floor). 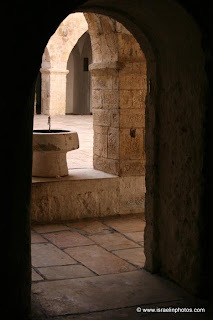 At times translators render coenaculum into English as cenacle. 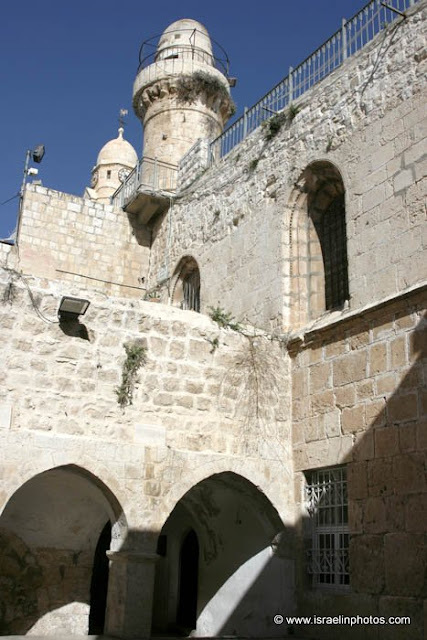 Whether rightly or wrongly, the Christian tradition ever since has been that these two places were the same. 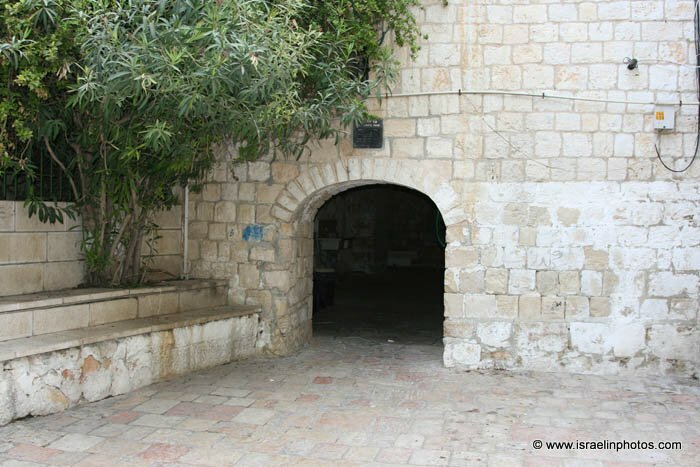 So according to tradition is this the place, where Jesus and his disciples held the Passover feast - the Last Supper, before he was taken to be tried (Matthew 26:17-29). It was here that Jesus appeared after the Resurrection, and the miracle of the Pentecost took place, when the Holy Spirit descended on the disciples and made them speak in many languages (Acts 2:1-4). The architectural style of the "upper room" is Cypriote Gothic. Drawn on the column to the right of the entrance is a Crusader shield, bearing the name of the German city Regensburg. The pillars in the entrance to the upper room are older than the Crusader structure. Above the landing at the top of the stairs are marble columns, supporting a small domed arched structure. 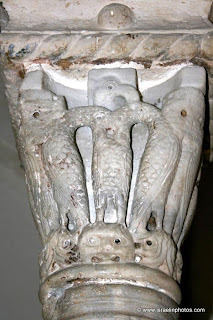 One of the columns has a capital with two pelicans (chicks) plucking at the breast of a third pelican, a Christian motif to represent the atonement. 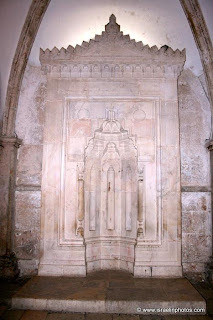 This domed structure and the mihrab are Mamluke.